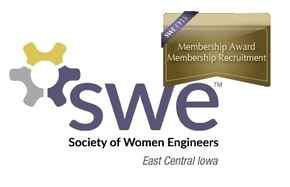 Join SWE-ECI for a Wine & Webinar evening. This event will be hosted on Tuesday March 8th at 6pm. 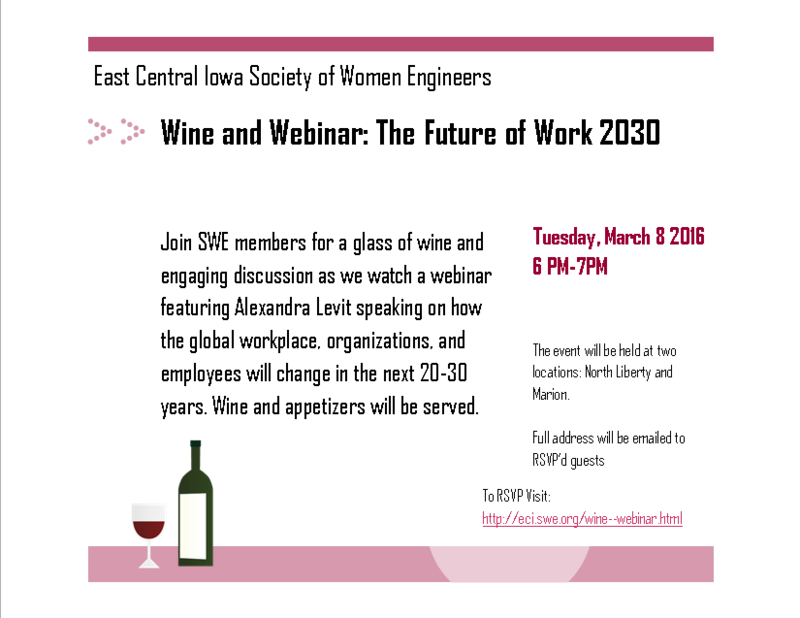 The Webinar is called "The Future of Work to 2030". This webinar will give us insight to how the global workplace, organizations, and employees will change in the next 10 to 20 years. This will give us a step up on how to be both productive and competitive in the workforce tomorrow! There will be two locations- one in Marion (Kristen Wagner's home), one in North Liberty (Katie Allen's home). Please indicate which one you plan to attend when RSVPing (or both if you are unsure). Since these are personal addresses we will email the address out once you've RSVP (we do not want to advertise the addresses publicly). Appetizers- and you guessed it- WINE- will be provided! North Liberty Marion Unsure- send me both addresses!